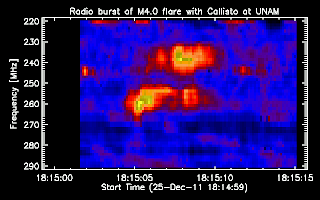 May be first light of Callisto spectrometer at UNAM in Mexico City. 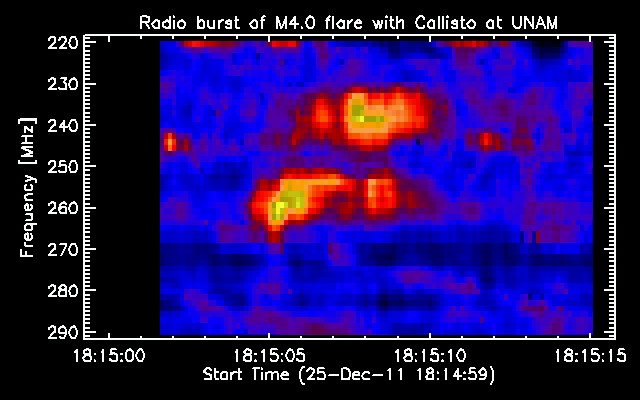 It shows the radio burst connected with an M4.0 flare of December 25th 2011. 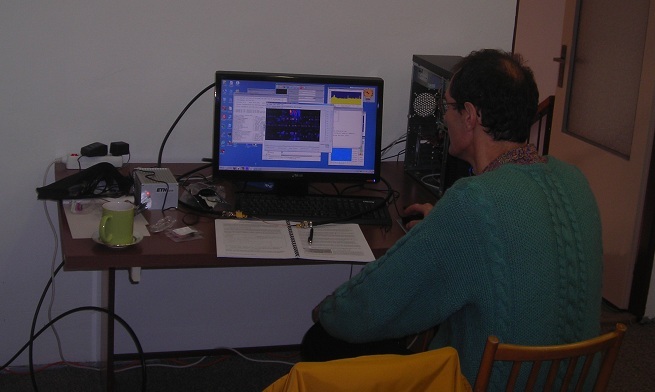 Due to high level of local interference the data array was filtered in IDL with Lee-Filter. Installation of a new Callisto at Pune University in India between 23th and 25th of November 2011 during a Solar Radio Workshop dedicated to Callisto and e-Callisto network. During the workshop two other groups from Ahmedabad/India and Sri Lanka learned how to install and configure a Callisto system. S. Ananthakrishnan (Pune) and Rajamal Jain (Ahmedabad) studying the new log-per on the roof of the institute of electronic science. The preamplifier is close to the top of the antenna to get full sensitivity. The antenna, a special design covering 100 MHz - 1000 MHz is pointing to an average position of the sun during transit. 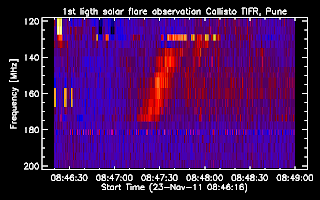 And we already got a first light on Nov. 23th at 08:47 UTC. 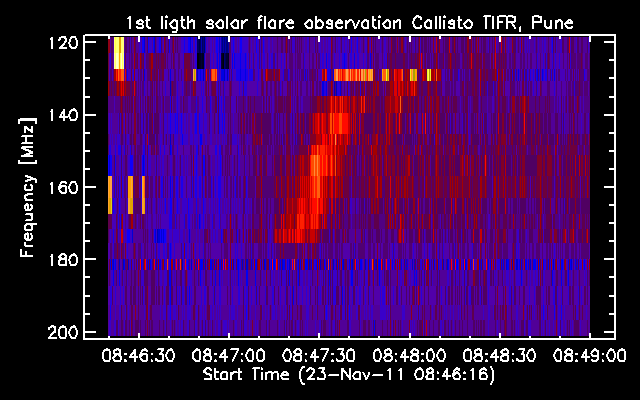 It shows the first harmonic of a low frequency type II solar radio burst.